Our big plans for the day were something J and I have been looking forward to for a while. 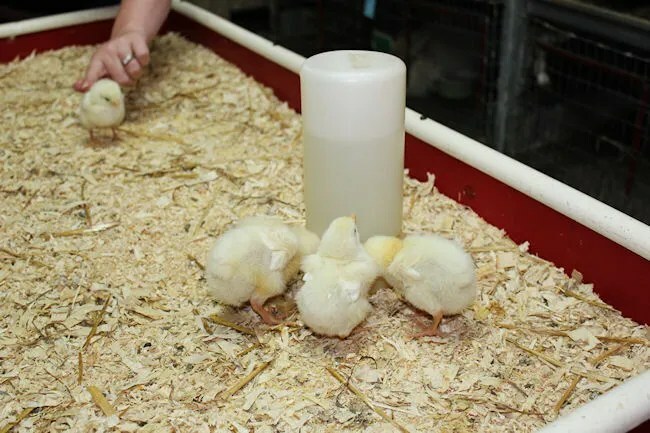 I’ve documented on here several times how much L likes animals or as she calls them, “doggies.” At some point this winter, J came across the Facebook Page for an educational farm in Ottawa County. 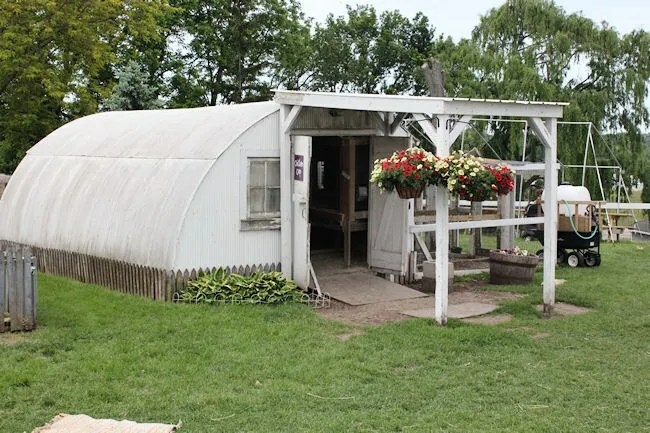 It’s a pretty good drive from Kalamazoo, so we never really made much of an effort to go to it, but since we were staying in the area, it became our go-to activity on our first day in Saugatuck. 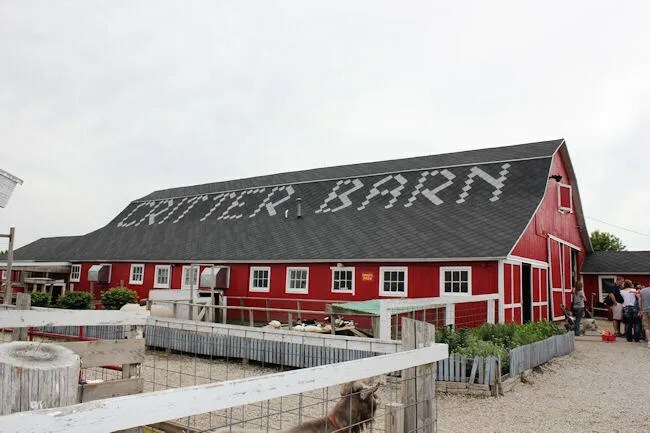 The Critter Barn is in Zeeland Township just a few miles east of I-196 on Adams Street. It’s sort of easy to miss from the street. It looks like it’s just a house, but behind that house, is a pretty large farmyard with a lot….no seriously, A LOT of animals. There’s a long driveway that leads to a pretty small parking lot behind the main barn. Today was a pretty popular day at the Critter Barn. The parking lot was pretty full when we got there and they started parking us in no parking spaces just to fit everyone in. After we unpacked L, we found a sign that said “Entrance” so we followed it. We came to a little counter and J told the lady working that we had four adults and a one year old. We were then told there was no admission charge. They accepted donations, but they don’t charge admission. I was reaching for my wallet, but J’s mom was quicker and stuck about what we had expected to pay for admission in to the box. 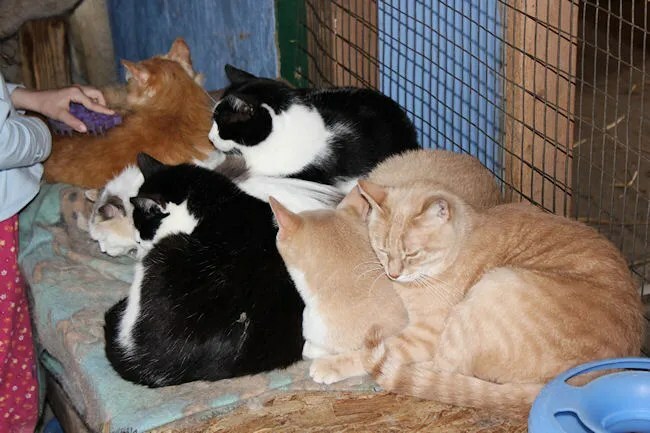 From the entrance, we headed in to the barn and we were shocked with what we found. The whole complex is full of very hands on activities with the animals. In the first room we went to, there was a bunny sitting on a table. We tried to get L to stand there and pet it, but she wasn’t very interested. That’s when we noticed a room with a lot of cats. We asked if we could go in there and they volunteer said of course. We took L in to pet the kitties which she did for a few minutes before moving on. Next, we tried an area with a bunch of ducklings. 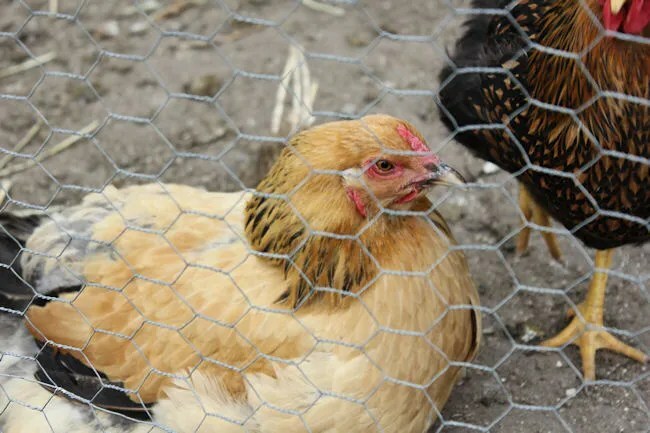 The volunteers in these areas are all kids and they are very knowledgeable about the animals and were very helpful in trying to get L to interact with them. I held one of the ducklings while L very sweetly pet it for a few seconds…then she was ready to move on. The next room was full of bunny rabbits. There were baby bunnies and huge, fluffy bunnies that didn’t move a whole lot. We found our way to a pen with several rabbits and L finally came out of her shell a little bit. 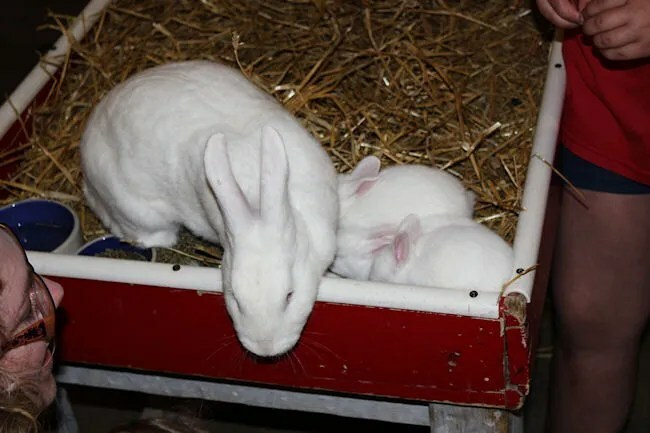 First she bent over and gave the bunnies a kiss….then she wanted to pick them up. We had to stop her a couple times as she bent over a rabbit and reached down with both hands to try and pick up a bunny. 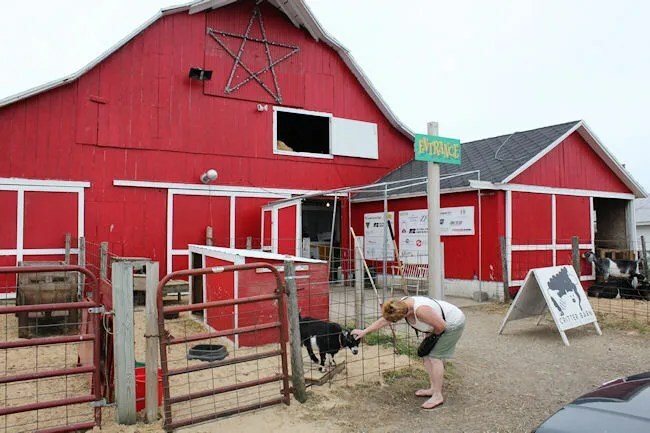 The reason we were somewhat excited about going to the Critter Barn on this particular day was because they were celebrating the birthday of one of their pigs….by giving bubble baths to all of their pigs. They were doing this every hour and it was just about time, so we headed outside the barn to see how they were going to give a pig a bubble bath. 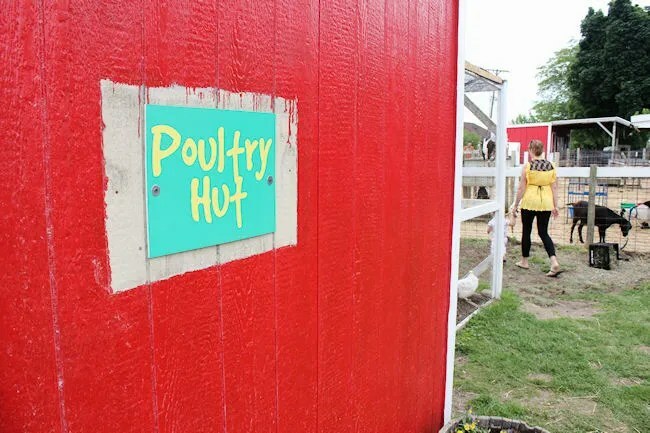 Unfortunately, L wasn’t really interested and we ended up running over to the chicken coop instead. For whatever reason, she LOVED the chicken coop. She would run down the ramp then run back up and squeal at the chickens who would congregate near the fence and cluck back at her. We kept trying to get her to leave, but she would start kicking and screaming every time we picked her up, so we put her back down and let her keep going with her routine. We finally did have to drag her away and it was a little bit of a meltdown. Our hope was we could distract her with a new animal…one she could actually pet, but we didn’t have any luck. 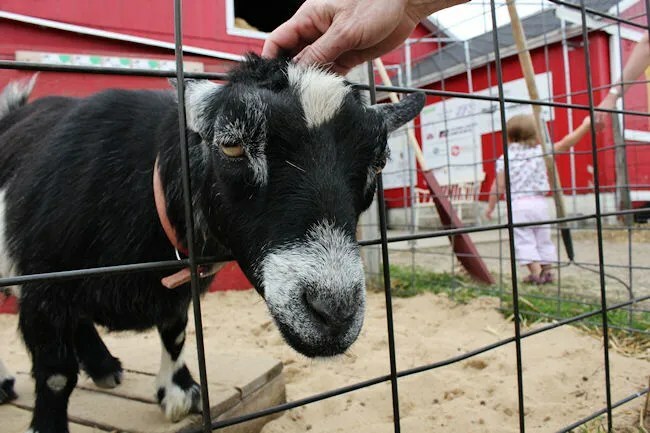 We took her to the pen with goats near the front of the barn and tried to get her to pet a goat, but she was over it…she wanted to play with the chickens. We then tried to give her some food hoping she was just hungry. 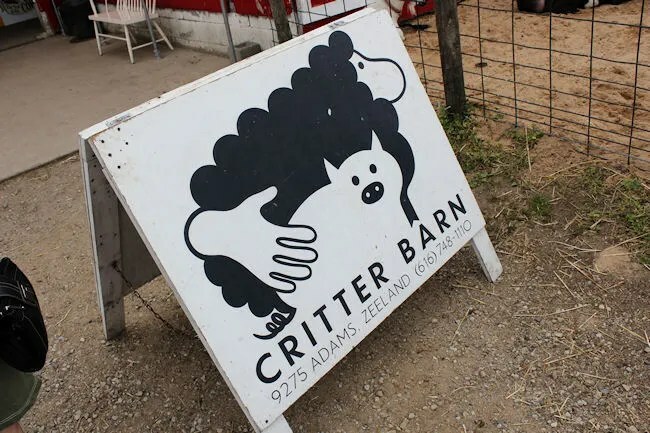 That seemed to work temporarily, but our day at the Critter Barn was about over. 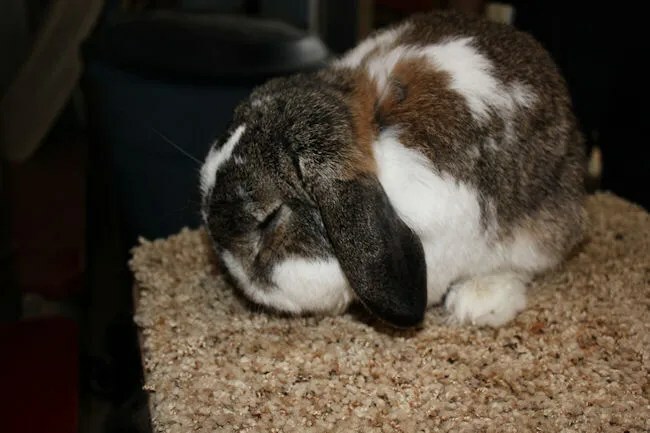 We gave the bunny room one more try before deciding to call it a day, but not before having a blast. 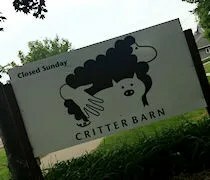 The Critter Barn is a pretty amazing place. The hands on experiences here are awesome. The place is like a petting zoo on steroids, but it’s more than just that. The staff here is very friendly and very knowledgeable. Everyone we interacted with went out of their way to give L a great experience with the animals and the adults had fun playing with the baby bunnies, chicks, and ducklings as well. As soon as we got in the car, J turned to me and said this is worth the drive to Zeeland….so, we will back.